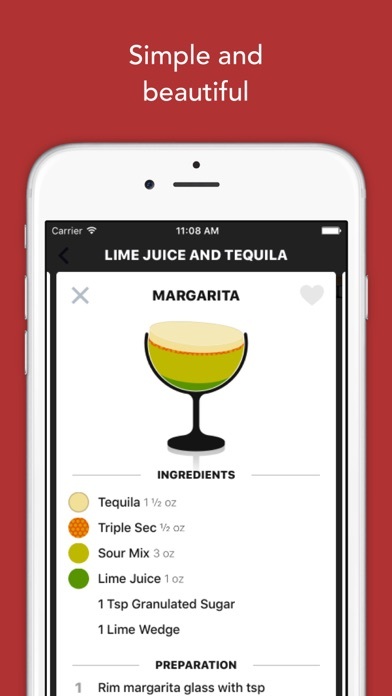 Lush Cocktails is a simple and beautiful drink mixing app. Find your next favorite drink for half the price of your last. HUNDREDS OF RECIPES Our hand crafted drink list is focused on the best recipes. We are constantly growing our list of selections so if we missed your favorite, let us know and we’ll add it! BEAUTIFUL DESIGN As you swipe between drinks, the liquid sloshes back and forth in the glass. We represent each ingredient visually, so you can easily see the ratio of vermouth and gin in a martini. IMPERIAL OR METRIC UNITS Lush will default to the primary measurement system used in your country. If we guessed wrong, just tap on the ingredients in a recipe to switch back and forth. MULTI INGREDIENT SEARCH Searching for drinks with one or more ingredients is trivial. Go ahead, find all the drinks with Rum, Lime Juice, and Orange Liqueur. It's actually quite fun. CURATED SHORTLISTS Picking a drink out of a list of hundreds is overwhelming. Try looking through one of our curated shortlists. Whether it's Brunch, Girls Night Out, or just some Rest for the Wicked, we probably have a list for you. FLAVOR PROFILES Are you in the mood for lime or strawberry? Or maybe coffee? Either way, the flavor lists will help you find what you are looking for. SAVE YOUR FAVORITES Let's be honest, your memory is not at its best when drinking. 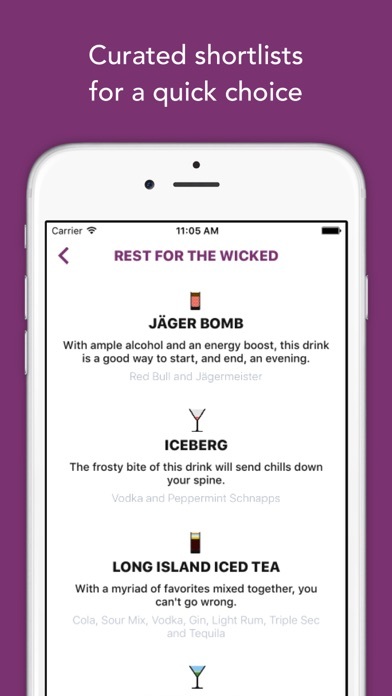 Tap the heart next to a drink to add it to your favorites, so you can remember what to blame for your hangover. 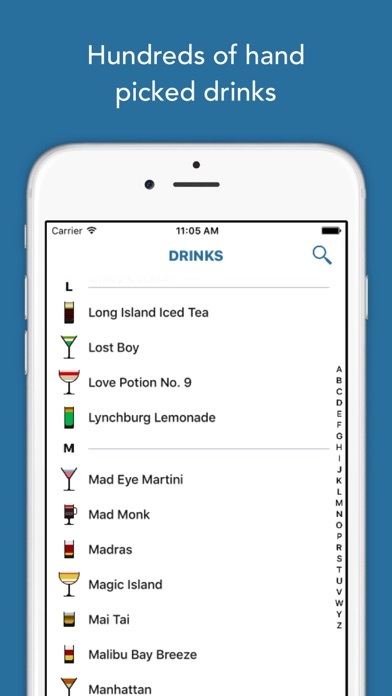 OTHER FEATURES * Sort by drink name or by glass type. * Search ingredients and drinks by name. * Automatic updates when new recipes are added. * Works offline. Recipes are stored locally so you can use the app anywhere. I love this app and it looks great. Some things bother me though, like the ingredients. Like when it says “Draft beer”. Okay, great, which one? There’s more than stout and ginger beer, and really any beer can be a “draft beer”. Same goes for red and white wines. Another thing that bugs me a little is that there are other ways to make some of the drinks. Like whiskey sours can be made with the egg whites. I’m not a bartender, but I am aware of a few things. I like this app and would love to see it improve. Something else I would like to see would be a swipe feature that would go down the list. The app has it when you’re searching for things, but nowhere else. I wish I didn’t buy this app. I wanted to check out more cocktails that I might of not heard of after a few years of bartending, and gave this a try. 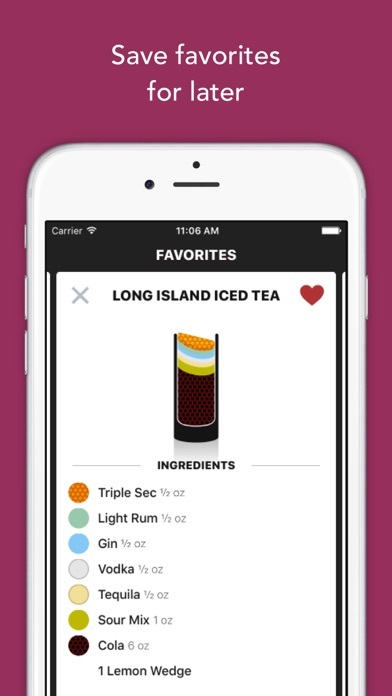 But there are multiple issues I have with drinks I know already, like some of the drinks recipes are not right and the way you put them together are just wrong...Don’t Rely on this app for a correct cocktail every time!! Is the developer still working on this app? It has been a year since it was last updated. I regret buying this app. It's not worth a cent. Recipes don't have a source, many are just copied and pasted like they were not tried before. Don't waste your time. Love this app, don’t let it die. Please start updating. This app is great but it needs more recipes and refreshers every now and again. Please, this app is beautiful and can only get better. This app is fantastic. Huge database, simple, beautiful, not buggy, and it has probably one of the best user interfaces i've seen among apps like this. 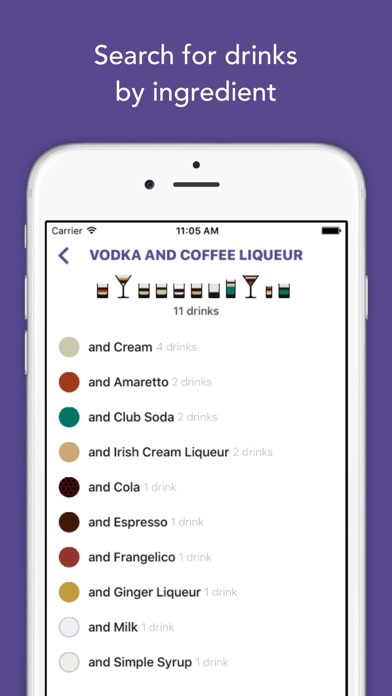 I agree with another review that a "my liquor cabinet" feature with a "what I can make with what I have" type of search would be the cherry on top for this app, would love to see it in a future update! Overall, I would recommend this app. One of the few apps I would say is actually worth the money! Most likely the best app for looking up recipes. Aesthetically satisfying, everything is beautifully organized where you can find drinks just based on ingredients or primary flavors. Love it!!! This app is awesome and really well designed. Please add more recipes. Especially craft cocktails.